Your main choice is gonna be based on whether you see your future as a trick master or speed demon. 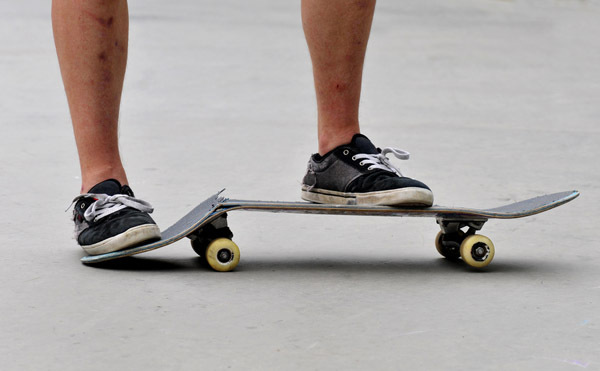 This is basically the difference between going street deck or longboard. You might also want to use a board purely for transport purposes… in which case, opt for a nifty little Penny board to zip around town. Just be aware, these are not great for tricks or fast cruising, and here’s a heads up - you might not wanna show up at your local skate spot with one of these!! So what kind of graphics do you want to represent you and your riding?! Mammoth task ahead here as there’s a lot of sick design out there. But, before you can get to this, you’ve also got to decide on going custom or complete. Choices choices... We recommend beginners keep things simple and go for a complete deck. 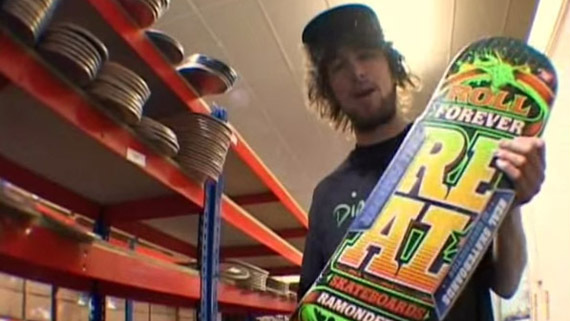 Ask at your local skate store for some help and advice, but check these links first for some of the best the web has to offer on the biggest decision EVER. Where to go: You’ve got two options. You can either go online to hunt out your perfect match – see our online stores. Or you can get down your local skate shop. Find one near you, here! We’ve picked out a couple of great clips that will tell you newbies everything about choosing a board! These are also equally awesome vids, and give additional top tips for choosing your deck, so worth a look. 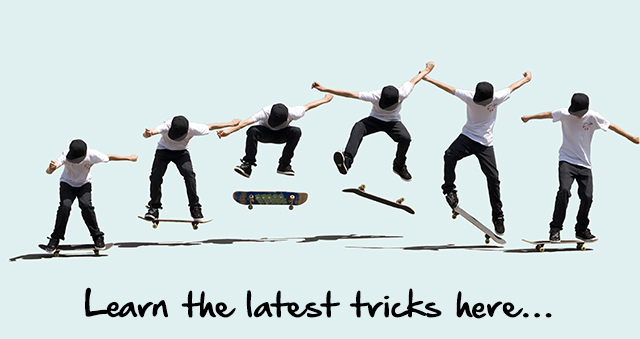 If you also wanna read up on all this, then Warehouse Skateboards has created some sound advice. There’s some nice old skool tables and diagrams to help make everything clearer… and sections to help with buying all the various board components. 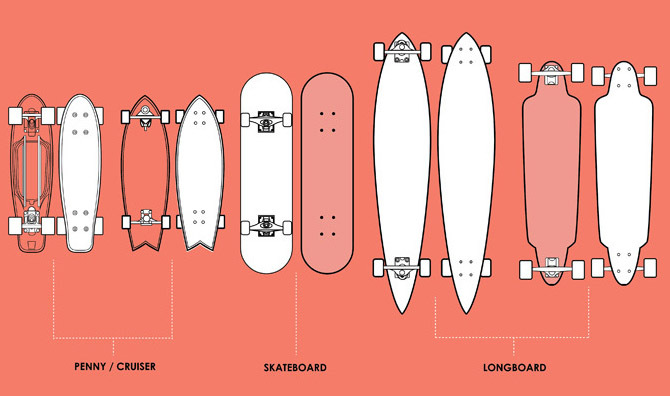 For all you speedaholics here’s a good guide to the longboarding shapes out there. 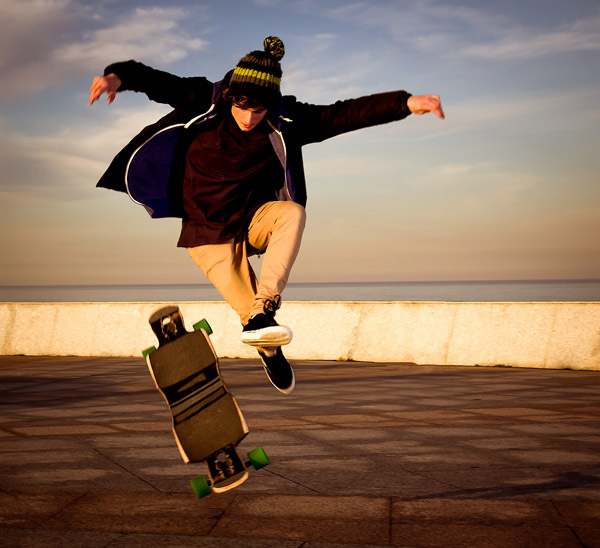 Or, for an awesome 'Ultimate Beginner's Guide' to longboarding, the following article takes you deep into the world of deck types and beyond. 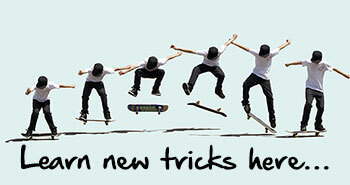 Lastly, here’s a cool and totally geeky place to discover the deeper meaning of skateboarding – the Exploratorium site. Find out about 7 ply decks, concaves and kicktails here… www.exploratorium.edu/skateboarding/skatedesign.html And if that isn’t enough for you, they also have some pretty sweet info on the science behind some of the key tricks!! Prepare to geekify yourself! Just one final warning - decks get trashed. So, if you’re really serious about skating, you’re going to get through quite a few. 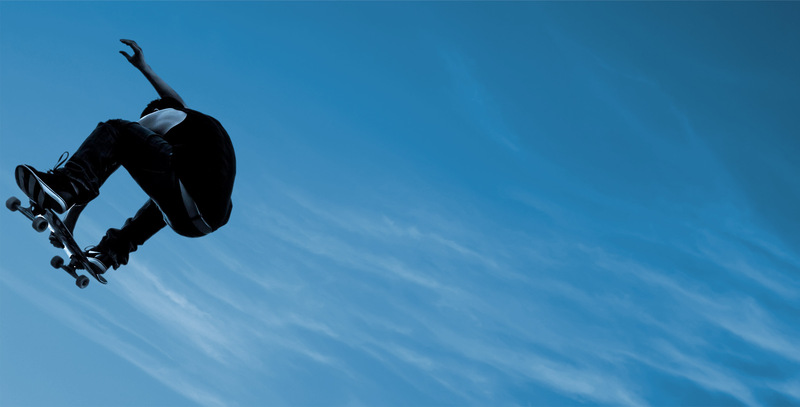 :-) Check our brands section to see some of the totes AMAZING board companies out there. Then skate and destroy!